This is a leather bound sketchbook I made maybe 10 years ago. 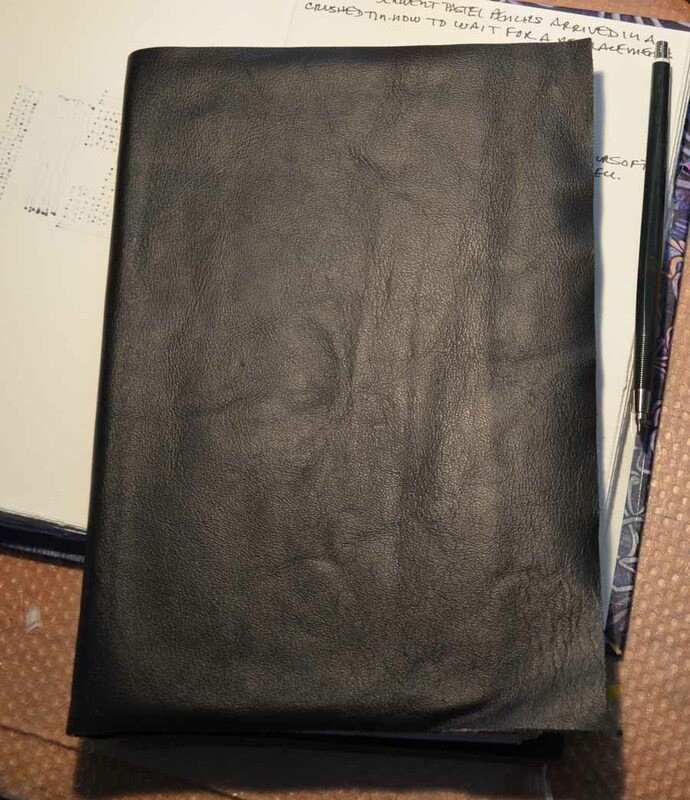 I sewed all the signatures together and glued it into the leather cover. I remembered making it and pulled it out to try to fill but the paper is ALL of such poor quality I'd rather not bother. So this is a lesson in buying and using the best quality art supplies you can afford. I used some interesting ideas like fold out pages and thin paper but bad decisions on the actual paper itself. 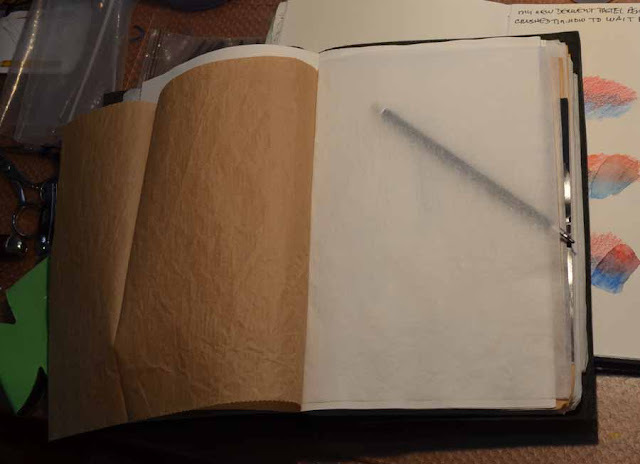 Now I do use vellum instead of tracing paper and if I wanted toned paper I wouldn't use brown paper. Yay vellum! I've been using mine to practice my new brush lettering! That was actually tracing paper (way back then) but now I am all about vellum.